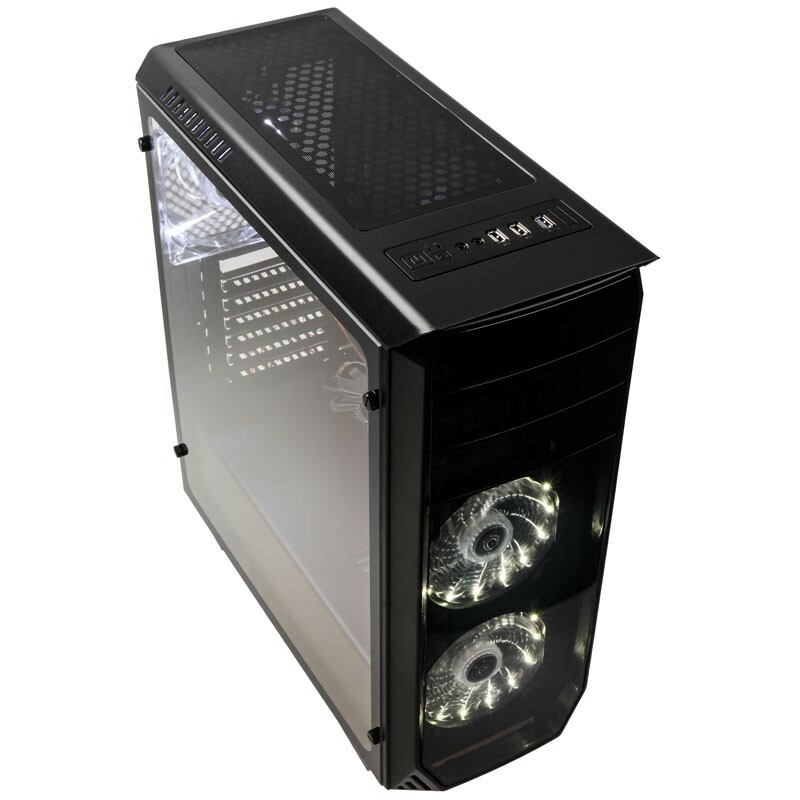 The Luminosity features 2 x 15 White LED 12cm fans on the front panel, with a 12cm White LED fan on the rear. The front panel itself is tinted and partially transparent to highlight the included LED fans. 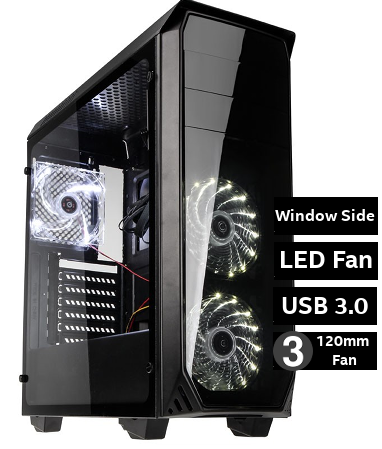 Added to this, the Luminosity sports a full PSU shroud and a full acrylic side window to showcase your system whilst keeping optimal airflow to your CPU & GPU.